Could the Buildings of the Future be Grown Underwater in the World's Oceans? Could the Buildings of the Future be Grown Underwater in the World’s Oceans? London-based Exploration Architecture creates cutting-edge projects that explore truly sustainable concepts. 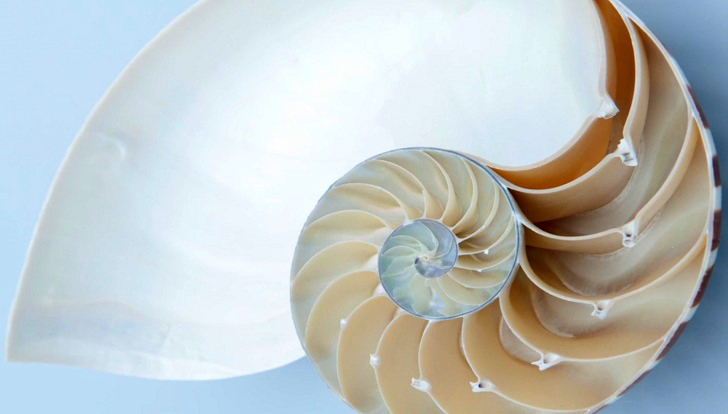 Their designs are inspired by natural forms ranging from sea urchins to coral reefs, and they speculate that the future of architecture could come from the depths of the ocean. The team leader, Michael Pawlyn, has assembled a series of mind-boggling designs that are showcased at the Architecture Foundation’s south London gallery as part of his first solo exhibition Designing with Nature. Before establishing his own practice, Pawlyn worked for Nicholas Grimshaw for ten years and was part of the team which conceived the Eden Project. His main focus lies with sustainable systems and nature-inspired architecture. A strong advocate of truly sustainable solutions, he insists upon the idea of creating the built environment to be completely in sync with the natural world. One of the team’s most recent projects includes an office building inspired by the spookfish: it has a kind of fish-eye mirror lens in its atrium that reflects light into the darkest corners of the space in order to maximize the amount of natural lighting. Some of the building’s features are inspired by the deep-sea dwelling star, which was recently discovered to have a unique exoskeleton covered with crystalline lenses. The lenses transform the skin into an all-seeing eye. Other design features are informed by the characteristics of underground stone plants that utilize translucent pockets in their leaves to allow light to reach its photosynthetic tissue hidden under the surface of the ground. According to Pawlyn, the building would have 50 percent less glass than a typical office block of similar size and floor area. One of the most interesting objects of the exhibition is a kind of prototype for “biorock,” which could enable future designers to grow buildings from atmospheric carbon. The principle was taken from a technique developed by marine biologist Thomas Goreau, who specializes in rebuilding coral reefs. 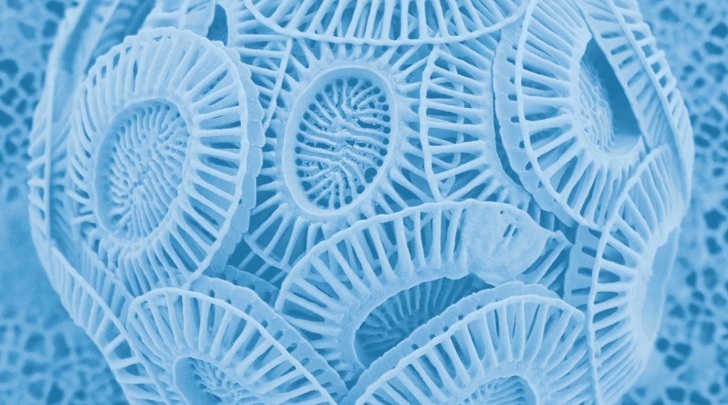 A single-cell marine organism called coccolithophore creates its outer encasing from calcium carbonate pulled from the surrounding seawater. This principle could be translated into architecture by passing a low electric current through metal armature placed underwater that attracts minerals over time. According to Pawlyn, a lightweight shell structure they have designed could fully grow over the course of 18 months. The first biorock pavilion is being designed in collaboration with Queens University in Belfast and we can’t wait to see see the final product! Producing calcium carbonate from atmospheric carbon dioxide sounds like an interesting approach to carbon sequestration. Sure enough, a quick Bing search shows there is research around this very topic. I'd be curious about the structural properties & durability of a engineered biorock ... if it could be a alternative to construction block or pavers.